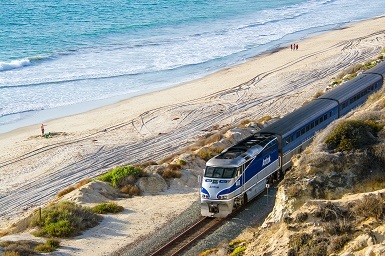 The Pacific Surfliner travels a 351-mile route hugging the California coastline. 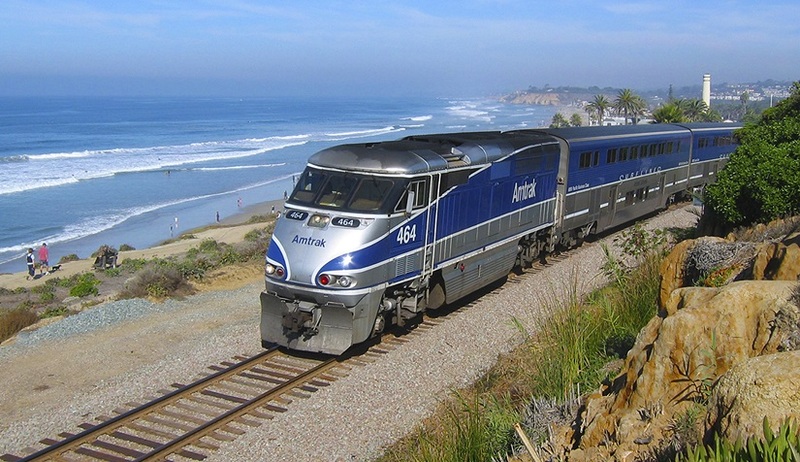 The Pacific Surfliner offers daily service between San Diego and San Luis Obispo. Each year, nearly 3 million passengers enjoy train travel on the Pacific Surfliner. 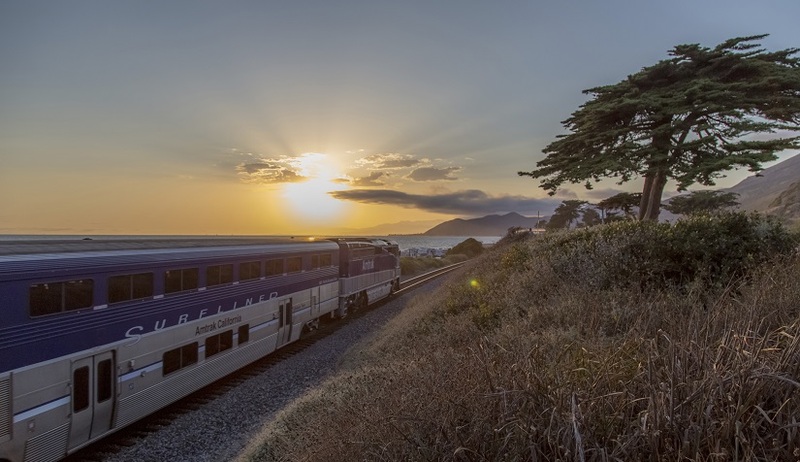 The Amtrak Pacific Surfliner travels along a 351-mile coastal rail route through San Diego, Orange, Los Angeles, Ventura, Santa Barbara and San Luis Obispo counties. If you’re a member of the working press and are interested in receiving breaking news via email, please sign up below. The Los Angeles-San Diego-San Luis Obispo (LOSSAN) Rail Corridor Agency manages the Pacific Surfliner service in close coordination with its member agencies, Amtrak and Caltrans.